It sure has been a brisk end of summer and we still have a week to go. It’s starting to feel like fall out there and more so - look like it. This can be a very tricky season to hike in and keep comfortable, but with proper planning and know-how you can limit those odds. This is one of the most important things you can do, check the weather. Don’t fully depend on one source but check a couple or three and compare; it’s usually someplace in the middle. Keep in mind as well, and this might sound a bit obvious, but check the weather for the area you will be hiking in. If you are hiking in Wilmington, don’t check the weather for Lake Placid – it can be considerably different. A good rule of thumb is to follow the ‘up 1-down 5” rule. Essentially for every thousand feet you climb you will lose at least five degrees in temperature, and that does not include wind chill which we will talk about in a moment. For example I have seen many times where in the valley it can be sunny and 65 degrees and by the time you get to the summit of Whiteface the clouds have rolled in and it’s 45 degrees and windy; not the proper condition for shorts and a tank top. That’s the saying when you don’t like the weather in the Adirondacks, “just wait 5-minutes.” It’s kind of true; the weather does change that fast and sometimes as often. 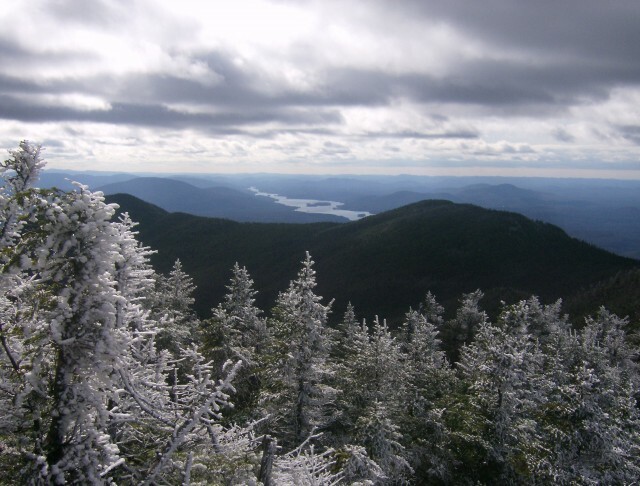 For example, Whiteface Mountain tends to create its own weather patterns. I remember a summer not all that long ago where it snowed on Whiteface in August but it was reasonably nice in the valley. 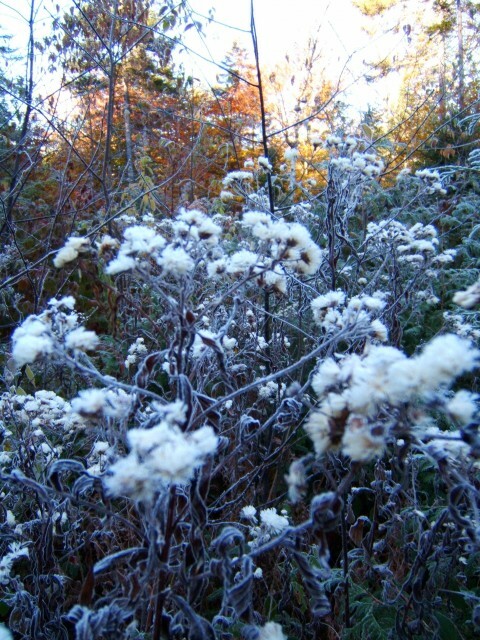 It didn’t snow much, but that tells me that if it can drop to below freezing overnight, it could do it during the day as well, especially in the fall. This is nothing to mess around with and can be very hard to predict. 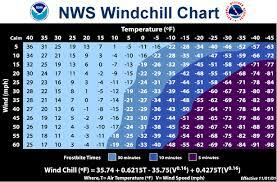 Please see the picture of a wind chill chart and notice how fast the temperature changes, with even the lightest of breezes. Now add on the fact that you are wet from sweat. Now you have the rapid cooling effect on your skin from excessive moisture – I’m cold even thinking about it. There’s no shame in wanting to be comfortable, it’s not a contest to see who can withstand the cold longer before they turn blue. This is one of the best seasons to bring an extra shirt to change into at tree line or on the summit. This dry shirt will feel like a new set of bed sheets and you will be miraculously warmer. Bring a dry pair of sock just in case you get wet feet, these feel really good too. A couple other items you should have are a light hat, light pair of gloves, a fleece, and a rain jacket. The rain jacket can double as wind protection, where a fleece falls short and only adds warmth. Also, rain in the fall season can be deadly. Rain with cool temperatures can easily set in hypothermia if exposed long enough. A warm hat can be an excellent ally. Your head can be an excellent thermostat and heat regulator. Hat on, your whole body can stay warmer longer; hat off you cool down faster. This is a common truth; eating and drinking will keep you warm. Your body creates heat to digest your food and it helps keep you energized. More energy, more movement, more heat. I am not saying eat a ton, but snack frequently with smaller portions. A trail mix is a great alternative to a ham sub and you can snack all day on it and not get weighed down. Also, eat a good breakfast before you start out. Starting your day right with a healthy, not too large breakfast will set the tone for the day. Dehydration can cause you to get cold quicker and reduce cold recovery time. Drink frequently in small doses, don’t chug a full Nalgene at one time; make it last and be sure you have enough. 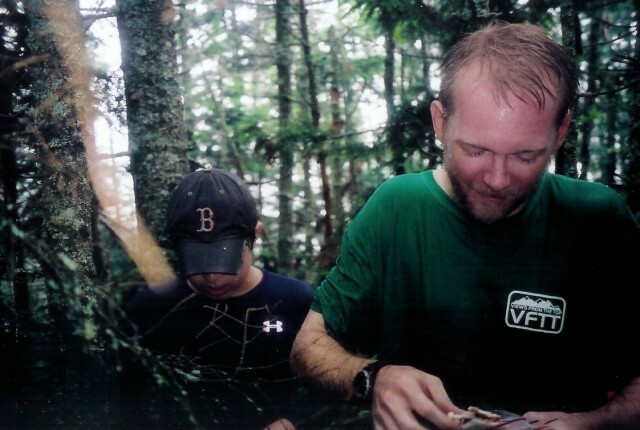 Rule of thumb is; 1-liter of water for every 2-hours in the woods. So those are some really basic ideas and suggestions that I recommend for fall and cool weather hiking. While each individual is different you should know your abilities and try new things. Try different cold weather gear, try different foods, hike in different conditions and remember your best piece of gear rests on your shoulders, use it correctly and it’s amazing what one can accomplish. Choose the right hike(s) for your trip. Find a great place to stay that's close to your hiking vacation. Consider some of the other great activities and attractions that you can do while your here.